The Two Stroke amplifier is a fantastic first, second, or anytime build. It sounds absolutely fabulous and allows you to experiment with power tube options. The kit comes with three different power tubes so you can hear the differences. It runs between about 4 and 11 watts depending on which power tube you install. Sounds great with the recommended 10″ and 8″ Jensens, or a myriad of 10″ and 12″ speakers. 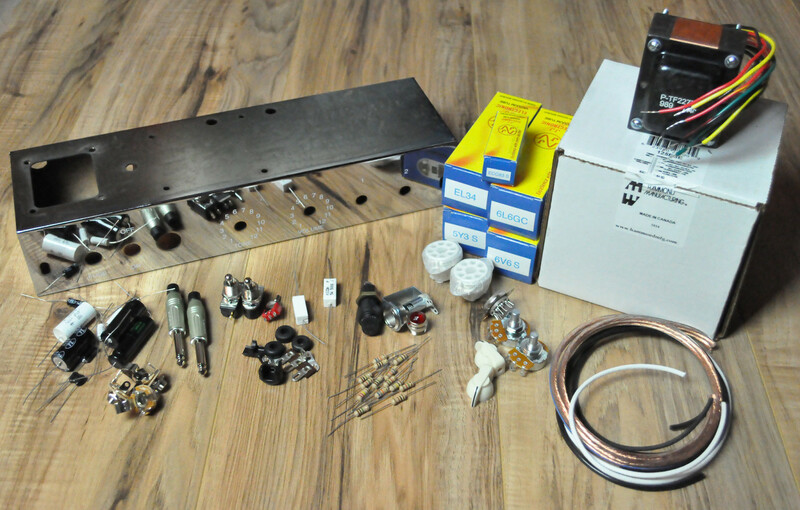 If you always wanted to build you own guitar amp, this tube amp kit is the perfect starter. We have found that one of the best beginning resources on tube amplifiers is Dave Hunter’s book “The Guitar Amplifier Handbook”. In this book, Dave gives detailed instructions for building an amp called the Two Stroke. 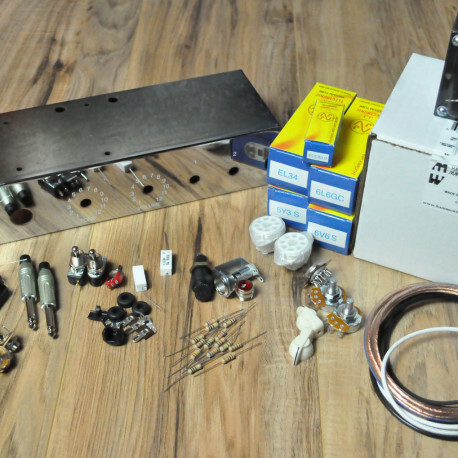 In the interest of helping people build this fantastic amp, we have assembled this tube amp kit with all the parts necessary and are selling it for nearly the cost of parts. All tubes are new production. All the necessary component parts and wire is included. Mounting hardware and cabinet is not included. Slight modifications to the chassis may be necessary and require the ability to drill steel. Kit components may vary from picture. © 2019 Renovo Amp Works Co.